Mark your calendar and save the date! 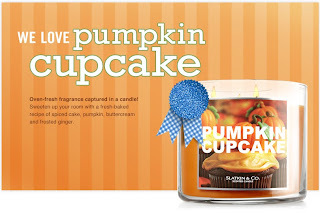 On September 21st, you can stop by your local Bath and Body Works and pick up a FREE Pumpkin Cupcake Candle. I LOVE Bath and Body Works Candles and you better believe that I'll be picking up this FREEBIE!